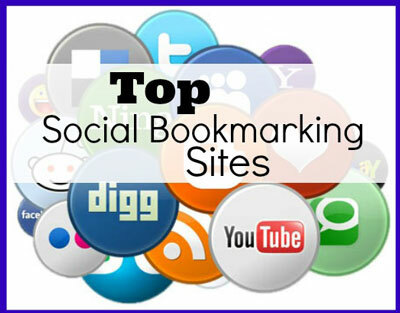 Social bookmarking is extremely powerful tool for building backlinks and for driving traffic to your website. Basically, social bookmarking sites enable users to share links to sites they find interesting. For example, a skateboarding enthusiast might share the links he’s collected of cool skateboarding sites with a friend, or a web surfer could visit the homepage of one of these sites to see what’s new and interesting on the internet. Digg.com is one of the most popular sites on the internet. Thousands of web surfers visit this site everyday to check out entertaining news and video clips, making it a great way to drive traffic to your site. Digg allows users to submit sites in eight major categories – technology, world & business, science, gaming, lifestyle, entertainment, sports and offbeat. To submit your site, you’ll need to sign up for a free account with a username, password and email address. Once your account is set up, you’ll be able to add links and descriptions of your webpages, and create icons for your sites that will allow other readers to bookmark your site on Digg. Del.icio.us is another popular social bookmarking site, in part due to the ease with which you can submit links. Unlike Digg, however, the site is much more freeform – focusing specifically on tags instead of separate categories. In this case, tags are single words that describe the content of the article – for example, “tattoo” in the case of an article titled “how to find tattoo designs”. Users can visit the del.icio.us homepage and search for specific tags that interest them, and the site will pull up all the articles linked in the database that include that tag. Signing up for an account with del.icio.us is similar to Digg.com – just choose a username and password, enter your email address and you’re ready to start adding links to your site. StumbleUpon.com is one of the newer additions to the social bookmarking field. The site’s biggest draw is its ability to recommend sites you may like, based on the recommendations of other StumbleUpon members. Signing up for an account with this service is fairly similar to the process described for Digg.com and Del.icio.us. 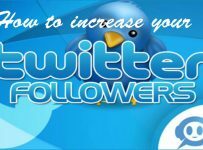 However, one of the major advantages to this site is the easy-to-use toolbar you can download to your web browser that makes submitting your links simple. Once the toolbar is installed, you’ll see a button that says “I like it” display on the top of your web browser. 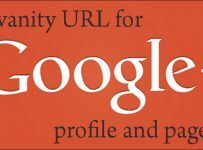 Navigate to one of your site’s pages, then press the button, and you’ll see a pop-up window that enables you to add your link to the StumbleUpon database. In addition to these sites, there are hundreds of other social bookmarking sites, many of which focus on specific niches, like the entertainment or gaming industries. 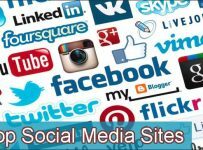 Because tens of thousands of people visit these social bookmarking sites every day, there’s bound to be at least one visitor who’s interested in content from your specific niche. If you’re lucky enough to have your article featured on the homepage of any of these directories, you could see your site benefit from hundreds of new visitors in a single day. But even if you don’t make the homepage, by allowing visitors to easily bookmark your pages at the top social bookmarking sites, you’ll get links back to your pages. As mentioned previously, you can also bookmark your own web pages at the bookmarking sites (but please don’t spam) just to get things rolling and start building backlinks.